Ideal for high voltage insulators to prevent flashover in addition to being an excellent dielectric and water repellent. Provides good adherence while chemically inactive with low toxicity. Novagard G661 Novagard G661 is truly a general purpose compound. It is ideal for sealing and protecting electrical connections above and below ground; however, the material’s unique dual nature, lubricity and sealing, supports a long list of applications. Novagard G697 Novagard G697 Using G697 as a lubricant on unpainted threaded, or non-threaded, ferrous metal surfaces will help prevent corrosion, and maintain the condition of the substrate. Also recommended as a lubricant for rubber components such as O-rings and gaskets that have low to medium swelling characteristics. Conforms to Mil-C-21567A. Novagard G635 Novagard G635 is an excellent dielectric compound with good moisture barrier and corrosion resistance properties. Among other applications, G635 has been used successfully on high voltage insulators, connectors, disconnect junctions, automobile and aircraft ignition systems and other electronic equipment. 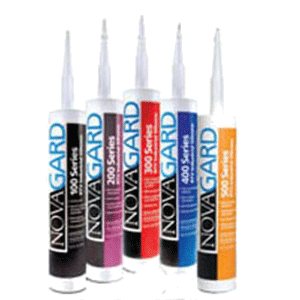 Novagard G662 Novagard G662 This material’s unique dual nature, lubricity and sealing, supports a long list of both past, and current, applications. Applications range from a valve and O-ring lubricant in small, hydraulic piston assemblies to high vacuum sealant in laboratory services. 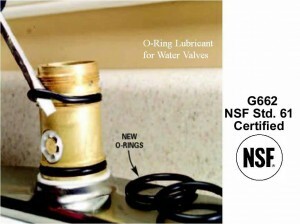 Certified to NSF Standard 61 for Drinking Water System Components. Novagard G687 Novagard G687 Designed for use as a dielectric compound on high voltage insulators, Novagard G687 reduces the opportunity for dirt and moisture to create arcing accross the insulator. G687 prevents the formation of a conducting film of water thereby eliminating any arc-over under wet conditions. The silicone engulfs, and encapsulates any water-borne, hydrophilic particles so that the insulator remains water repellant even in dusty, highly conductive atmospheres. G687 is also an excellent mold release and rubber lubricant. The compound may be applied by wiping, brushing or by spraying. Ideal for thermocouple wells, power diodes, transistors, semiconductors and ballasts. Excellent heat transfer compound for electrical and electronic industries, with outstanding long-term storage stability without oil separation. Novagard® Silicones UV cured inks and coatings maintain all of the enhanced performance characteristics of conventional silicone based materials with processing speeds unmatched by other technologies. Ideal for valve and O-ring lubrication with excellent vacuum capabilities and outstanding water resistance. Certified to NSF Standard 61 for Drinking Water System Components. Silicone based lubricants provide high performance and are more versatile than most materials available today. Excellent resistance to moisture, corrosion and oxidation while exhibiting wide temperature ranges -55°C to 150°C. Conformance to SAE and Military specifications. Self-leveling silicones, single-component silicones and oxime-cure silicones are used in applications where the coating needs to flow into small crevices, and are also used in hard to reach areas.